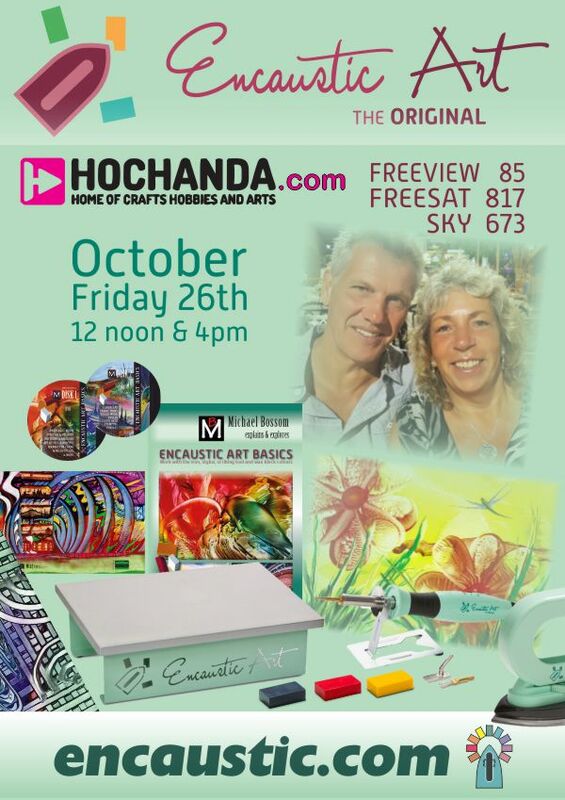 TV, Art Materials Live Show and news on encaustic art. Welcome to another month in the changing world of Encaustic Art reader. What started as a personal experiment more than 30 years ago is now an established hobby art format within the arts and crafts world-wide. Many crafters see it as art, and many artists see it as craft. Strange perspectives, but in reality it is both, as are all activities that can lead to artistic results. Craft is the skill, and the art part comes from the style, expression and individuality woven into that crafting of the final work. 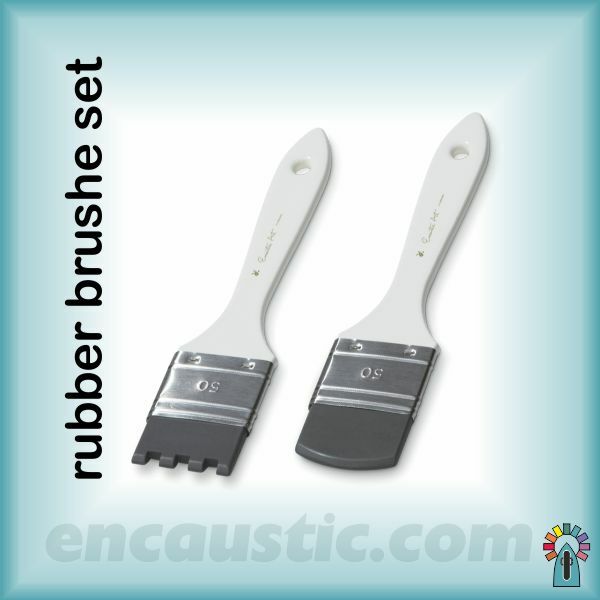 Fine art can be created with Encaustic art products, but first the craft can be played with, producing pleasing results right from the first card. Then the deeper craft must be learned, the skill of controlling as and when needed. Then comes the artistic expression, the quality of personality, style, interpretation and more. When these find their way into the work it takes on a more artistic flavor and truly becomes individual. 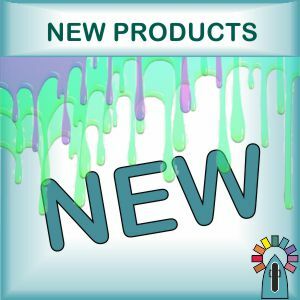 Some of our newer products are in focus too. Those who have got one are now loving their dual heat Stylus Pro. It has about 20 tips and shaped heads available. And the lovely Compact Hotplate (powered by an iron) is proving fun to use and is small enough for any space - it makes a good heated palette too. 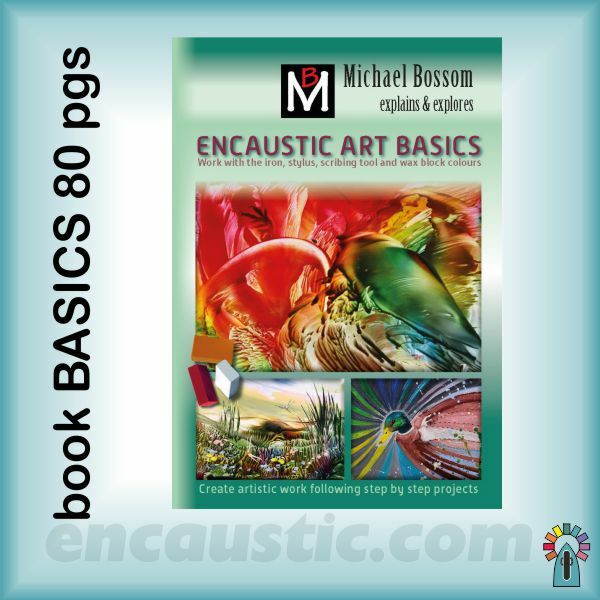 The new 80 page book, Encaustic Art BASICS by Michael Bossom has a companion twin disk DVD available that complements the book projects with live action. This book brings a beginners understanding up to date with numerous photo filled step by step explanations. 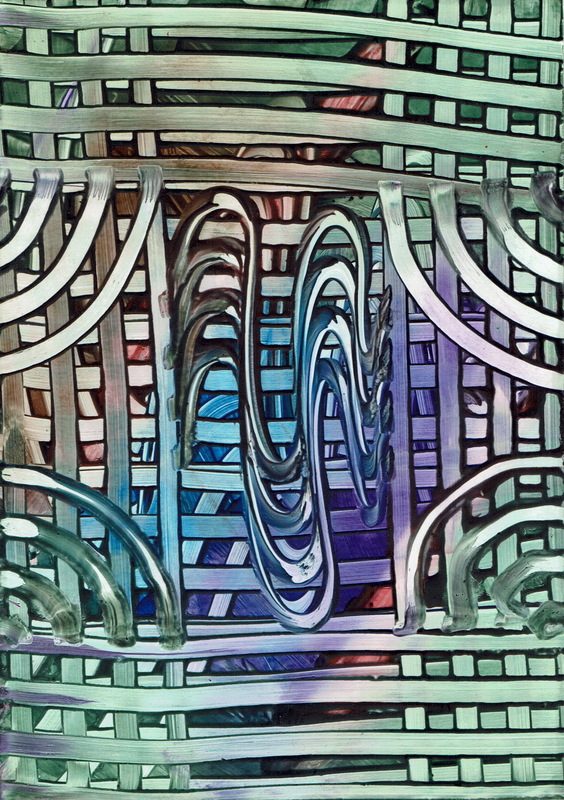 This artwork was created with on the compact hotplate with rubber brushes - scroll down linked page for video . Demo of this on the TV shows above. This new book by Michael Bossom is an 80 page A4 format covering everything a beginner needs to know. Filled with step by step images, photos & explanations. Twin disk: 231 minute DVD shares many of the projects that are in the book. If Live action makes learning easier then this DVD set is well worth getting. It's a long time since we were at this fantastic show in the NEC. One ticket gives access to 4 shows! 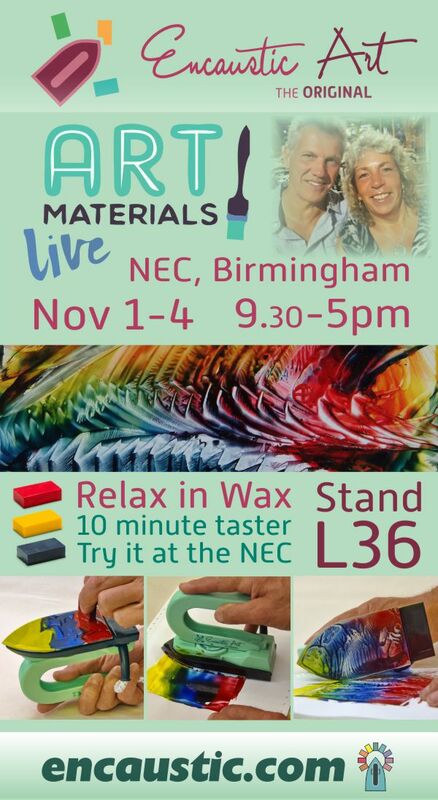 We are on Stand L36 where we have a Make & Take going on as well as show offers on popular things and Starter packages. As the evenings darken our time indoors grows and the opportunity for creativity in that warm space grows too. Let yourself loose in the molten wax and enjoy the journeys of creation that will inevitably happen. Time to make cards and enjoy the freedom of imagination in those lovely wax colours.